As the warm weather washes over Michigan, many homeowners are looking to upgrade their homes and freshen up their living space. If you are looking for a top-notch lighting company in the Shelby area, be sure to stop by the Shelby Design Center. By working with a quality co-op, our lighting showroom displays the best new styles at very affordable prices. 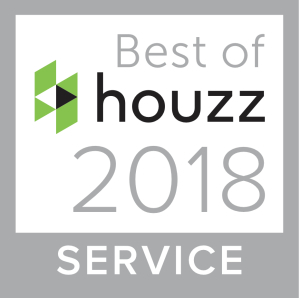 While our team of experts is here to help with every aspect of your home lighting, we understand that the sheer volume of choices and styles can become overwhelming. Today, we’ll ease some consumer stress by discussing the common types of modern lighting fixtures that adorn your home. Lighting One and Carpet One Floors have worked with our business to provide the best service possible. Drop in today to browse our lighting showroom and talk to one of our associates for the solutions you need! 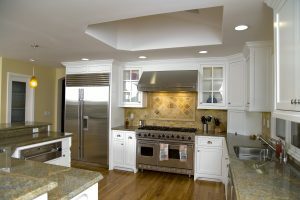 One of the most common applications you’ll find for illuminating your home is the ceiling light. For nearly a century, this style has graced American homes. When you think of traditional, transitional, and contemporary lighting fixtures, chances are you’re thinking of the ceiling variety. This generic lighting option represents the bulk of light sources in your home, from hallways to bedrooms and kitchens. Your close to ceiling and flush mount fixtures come in many sizes and styles to match each room, so make sure you’re thorough in your search to find the ideal ceiling lights. This versatile lighting fixture can tie your dining room together and possibly the entire theme of your home. Chandeliers demand your attention with their stunning beauty and imposing stature. When used properly, this universal lighting option perfectly ties your kitchen, entrance, hallway, or even bedroom together in a smooth and seamless manner. Chandeliers range in size and complexity to fit a number of rooms, ranging from three-light mini options to multi-tiered masterpieces. If you know how to properly use it, the chandelier can prove to be the most useful and powerful lighting fixture out there. Anyone looking to customize their space for general or task lighting can benefit from pendant lights. While other fixtures rest in the ceiling, this option hangs down, giving you options for how much light you want and where you want it. Utilize your space more while adding style to a room with pendant lighting. Perfectly suited for use over tables, counters, and islands, your pendant light can prove useful for multiple purposes. As always, be sure to include a dimmer switch here to maximize your ability to customize your home’s lighting. Minimize distractions and design conflicts when you take advantage of our recessed lighting fixtures. Designed to hide in the ceiling, this style can prove very versatile when used with other fixtures or in tight spaces. Also known as can lighting, your home can benefit greatly from an installation, whether you’re in need of general, task, or accent lighting. If you are planning on installing recessed lighting in a ceiling with insulation, make sure to utilize an Insulation Contact-Rated housing to give your insulation adequate space. We like to refer to wall sconces as the duct tape of home lighting due to its versatility in nearly any application. Rooms that need a little help can greatly benefit from having a sconce installed. Looking to highlight an area or cast shadows in another? Sconces are perfect for reaching areas that your overhead lighting cannot. Wall sconces come in a huge variety of styles, giving you the homeowner, plenty to look over when seeking out the ideal product. Be sure to keep your sconces consistent in order to avoid style clashes. Looking for an ornate addition to your room? How about a rustic style to capture the mood? What if you are in need of a chandelier sconce? The Shelby Design Center has what you are looking for! While the previously-mentioned lighting styles make up a majority of the fixtures available, that does not mean that there are not specialized options out there that are ideal for your unique style. 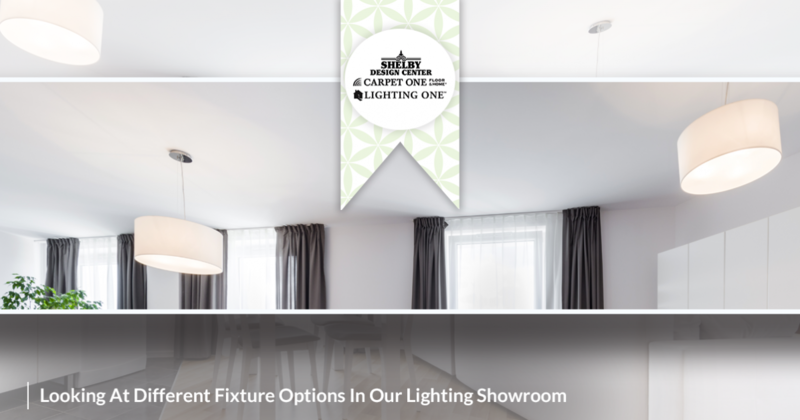 Finding a quality lighting showroom in your area can be difficult, and all-too-often prices for such products make you second-guess your decision-making skills. Let our lighting company in Shelby help! By partnering with over 1,000 other companies in the industry, we are able to provide more products at better prices. Stop in today to find the perfect style for your home or contact us for answers to any of your lighting questions!